I know Summer is almost over, but there's still a good month left! This Summer, I have had an abundance of blueberries in my yard and when you can't eat them all, you have to freeze them! 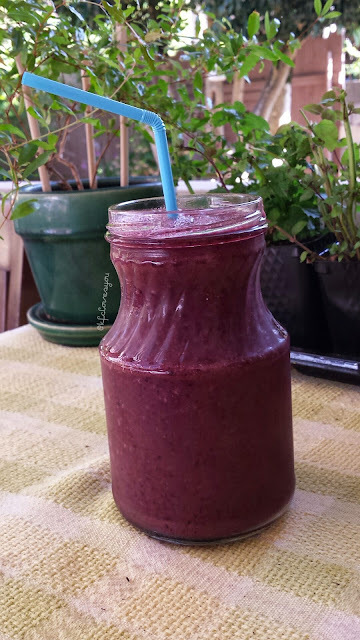 Frozen blueberries are one of the most delicious treats and are perfect to add to fruit smoothies. If you don't have frozen blueberries, you can find them in your grocery store and even in bulk at places like Costco (and they have it organic)! This recipe is perfect for the end of summer. 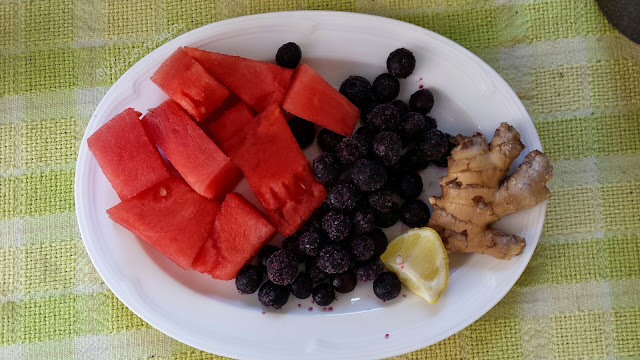 It is cooling with the fresh watermelon, but to balance out that 'coolness,' there is some 'warmth' added to it from some fresh ginger (if you understand TCM or Traditional Chinese Medicine, you may understand the whole usage of 'cool' and 'warm' foods..it is a bit hard to explain, especially in English). Blueberries are also high in antioxidants (and they taste delicious) so this smoothie is just a win-win treat. I also like to add lemon just for an extra Vitamin C boost. Don't fill your blender up too full, or else the juices from the watermelon may overflow. 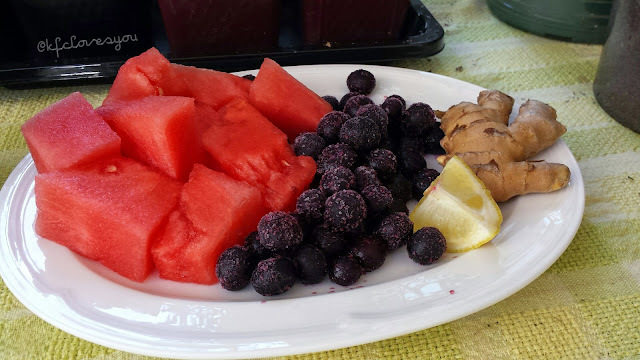 Blend watermelon first and then add the frozen blueberries. After they are almost fully blended, add the lemon and ginger. You don't need anything else! Readers, what are you favorite summer fruits? Do you have a favorite smoothie recipe? Let me know, I'd love to try them out.